Jedi Mickey's STAR WARS Dine at Hollywood & Vine is a special event that takes place in and around the Star Wars Weekends season at Disney's Hollywood Studios. While the "weekend" events only happen on Friday through Sunday, this special character buffet meal continues throughout the week as well. The food selections at Hollywood & Vine have been renamed and in some cases updated and changed from the normal dinner offerings, using Star Wars words and locations. 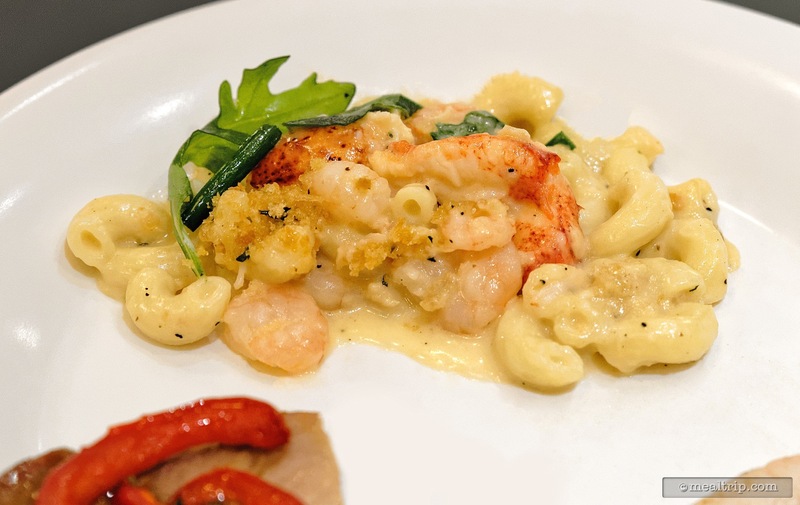 A few of the guest favorites are the Mos Eisley Barbecue Meatballs, Stormtrooper Shrimp, Lando's Lobster and Shrimp Mac and Cheese, and R2 D2's Cantaloupe Salad. There are many selections available, along with a carving station and themed dessert offerings. A drink is included, and you may even be able to get a Blue "Bantha Milk". The cost of the special event (advanced reservations are highly recommended) is slightly higher than the "normal" dinner period at Hollywood & Vine. For current pricing, please visit the Disney website directly by clicking on the link to the right. It's amazing to me how different and fun each of the buffet style restaurants in Disney's four Central Florida parks can be. At Hollywood Studios, that restaurant is called "Hollywood & Vine". Most of them also happened to be "character dining" and reading the words "Playhouse Disney" attached to some of the meal periods at Hollywood & Vine (unfortunately) may keep some guests from even considering this great location. From the beginning of Star Wars weekends, all the way to the end (and every weekday in between), the normally character-less dinner period gets a great character meal overlay as Mickey and his pals get dressed up as their favorite Star Wars characters and interact with guests while you dine. Everyone from their mid 30's and beyond will be familiar with either Mickey and his pals or Star Wars characters... so the excuse that you just won't know any of the large-headed pre-school cartoon characters that normally inhabit this location, shouldn't keep you away. You guys know that I will take great food over character interaction every time. Fortunately, at Hollywood & Vine, those two things seem to coexist in a very agreeable manner. 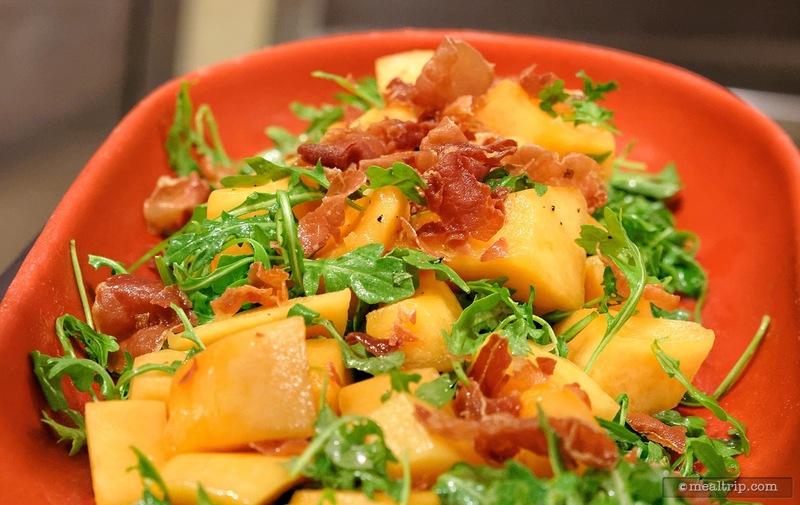 I have always found the lunch and dinner periods in particular at Hollywood & Vine to be full of some of the best line-item, Americana cuisine at any of the Disney buffets. 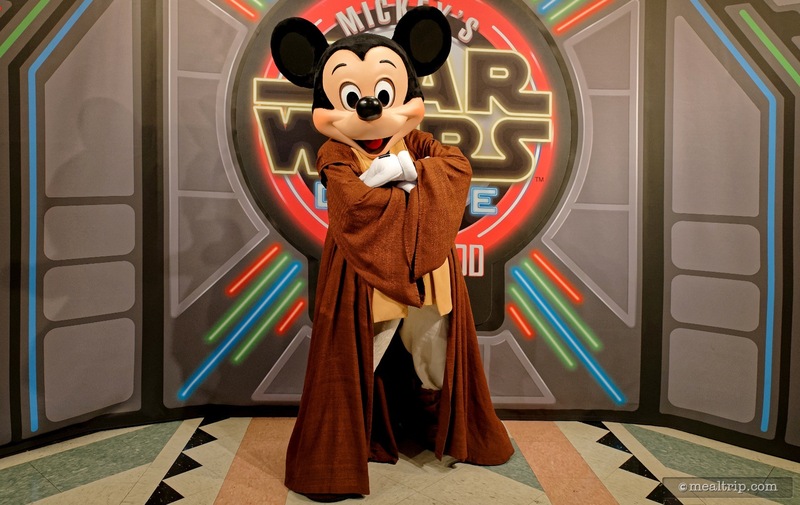 During the Jedi Mickey Star Wars dinners, most of those items remain the same, but get cute Star Wars name changes. The very popular "Barbecue Meatballs" become "Mos Eisley Barbecue Meatballs", and remain delicious… no matter what they're called. But I'm getting ahead of myself. One of my biggest gripes about dining here has always been the wait outside the restaurant. After you check-in at the podium, it just seems to take forever before you get called in to be seated. I don't know if it is actually longer than at other buffet locations, or it just seems that way, but the warm, south west facing porch has never felt comfortable to me. At Jedi Mickey's dinner the wait gets split in two segments. There is an extra line on the porch before you get to move inside. This is done because there is a photo op with one of the characters before your party is seated for dinner. For this first photo, there is a cool backdrop and a Photopass photographer on-hand, however these photos are not included as part of the dinner package, so be sure to have your own camera ready as well. You'll also pick up a paper light saber at this point, and rolling it one way will make it red (for the Dark Side) or blue (for the Light Side, aka the "good guys"). It's a cute idea. I'm sure if I had children with me, it would have been more fun. No matter how many times I tried though, it never did feel appropriate going around the room and whacking other people's children. Once seated though, I tend to forget about the wait outside as my thoughts turn to the buffet. There were a few new items here that I just don't remember for the "normal dinner", and those may be unique to this Jedi Mickey meal. 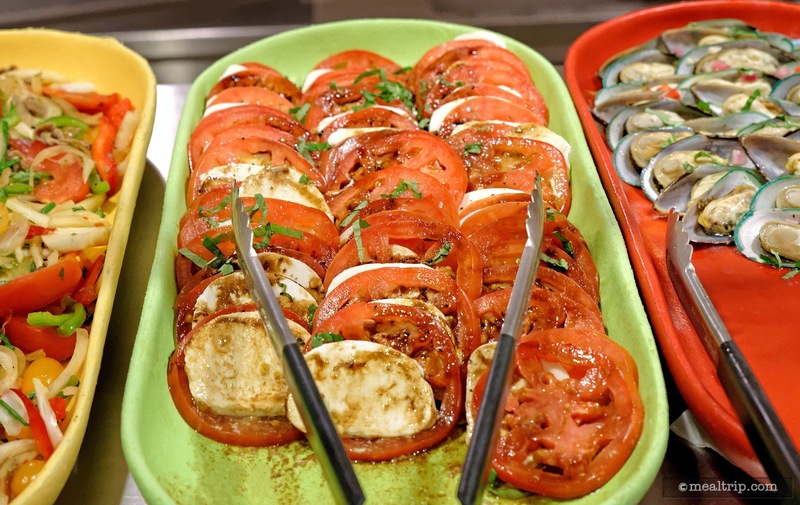 Items like R2-D2's Cantaloupe Salad with Bacon, Obi Wan's Insalata Caprese, the Tusken Raider Thai Beef Salad, and Kit Fisto's Tip New Zealand Green Mussels were all particularly delicious, and may not be on the "normal" buffet line. There are usually two soups available at Hollywood and Vine, and they are both high-quality "sandwich shop" style soups… not the watered down variety that you might expect to find on a lesser buffet. Also in this "starters" area are a couple of breads and spreads, along with my favorite, the hot and fresh Pretzel Bread. 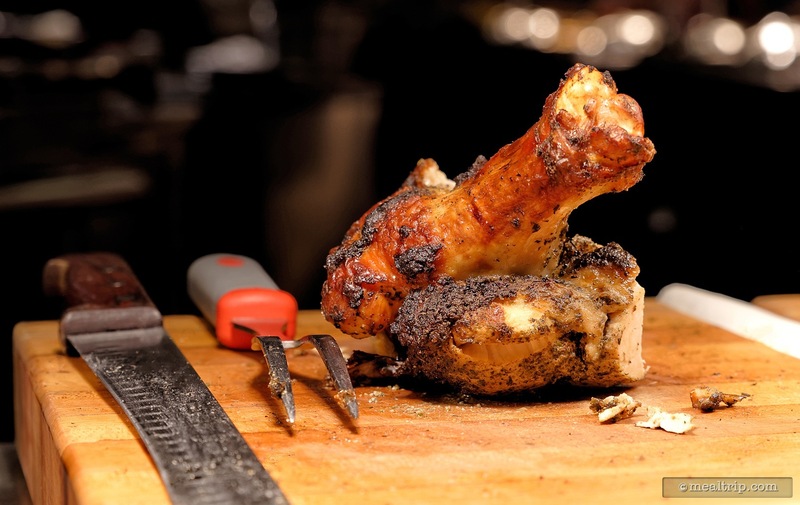 At most buffets, the real "meat" (pun interned) is at the carving station at the end, but there have always been so many great line-items here, that I'm usually too full before I get down to the carving station. The Peel and Eat shrimp with optional cocktail sauce seem to be a guest favorite. 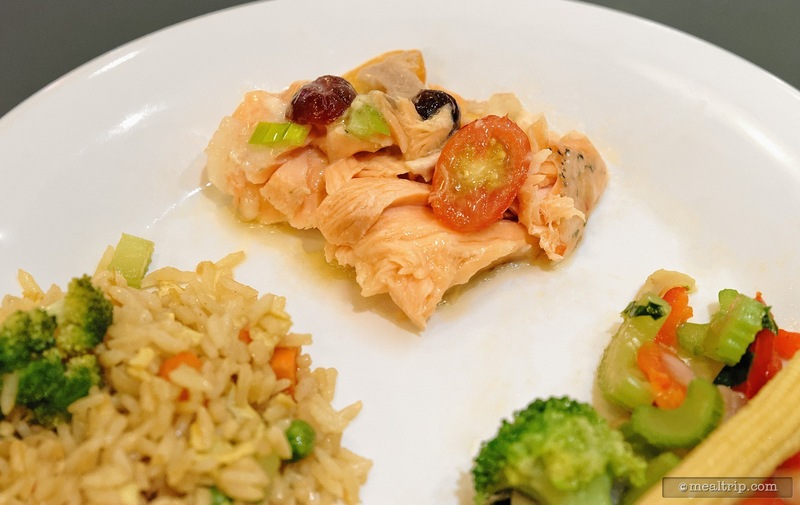 The salmon has always been great (the garish that it's baked with changes seasonally, and sometimes daily) and then there's usually three or four entree-quality items that you could make a complete meal out of. 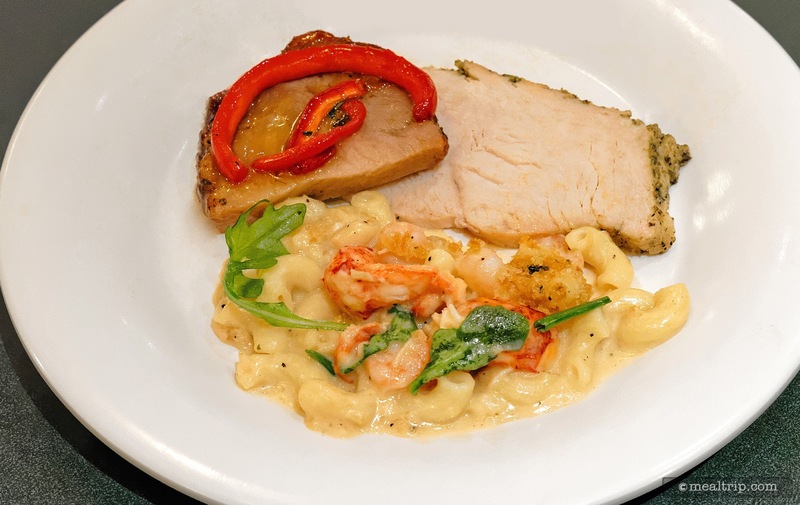 Lando Calrissian's Lobster and Shrimp Mac & Cheese, Asiago Ranch Chicken, Orange Chicken, the previously mentioned Barbecue Meatballs (you have to try just one… they might surprise you, even if it doesn't initially sound that appealing), and there's usually some pork-based dish as well. 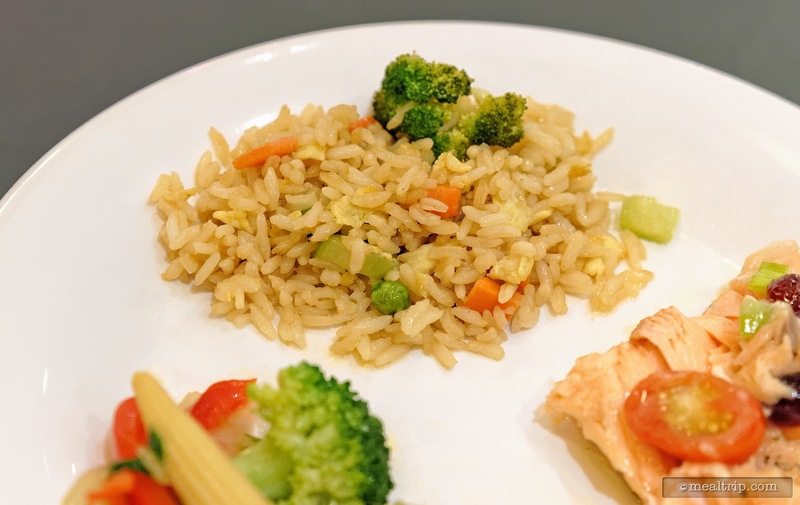 You can pair those items with sides that range from garlic mashed potatoes and cheesy polenta, to Fasolaka (which is a green bean based dish), and a cut corn and vegetable combination. There's even a few surprises tossed in here and there, like a top notch cut Bratwurst with Sauerkraut and a fun Fish and Chips item. All throughout your meal, Disney characters, dressed as their favorite Star Wars characters visit with you table-side… and will interact with you as much, or as little as you wish. 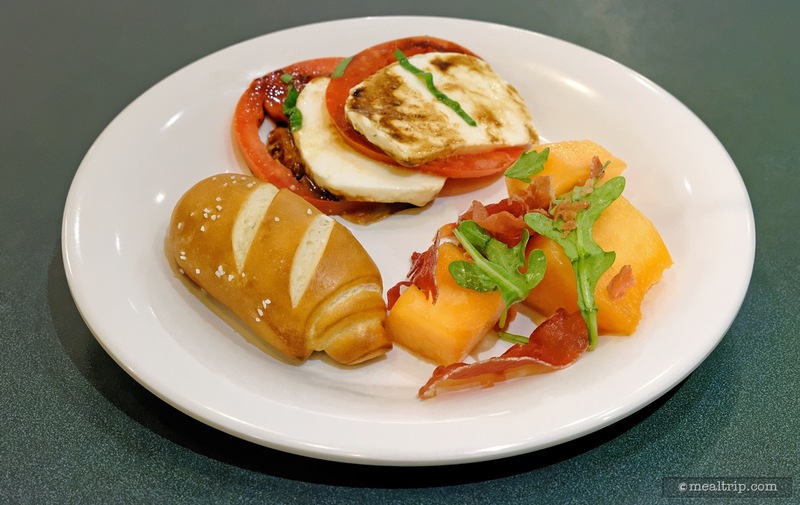 Unlike our recent trip to the Star Wars Dine-In Galactic Breakfast… this location has ample room, light, and staff, to make a character meal something special. The location doesn't feel cramped, there's space enough for everyone to move around, you can take plenty of photos, (that will actually look decent because there's light in the building), and a skilled character team to bring the theme to life. Usually, Jedi Mickey is available for a photo at the front entrance location only, but working the room you'll find the likes of Darth Goofy and Stormtrooper Donald representing the Dark Side and Princess Leia Minnie along with Ewoks Chip & Dale for the Light Side. 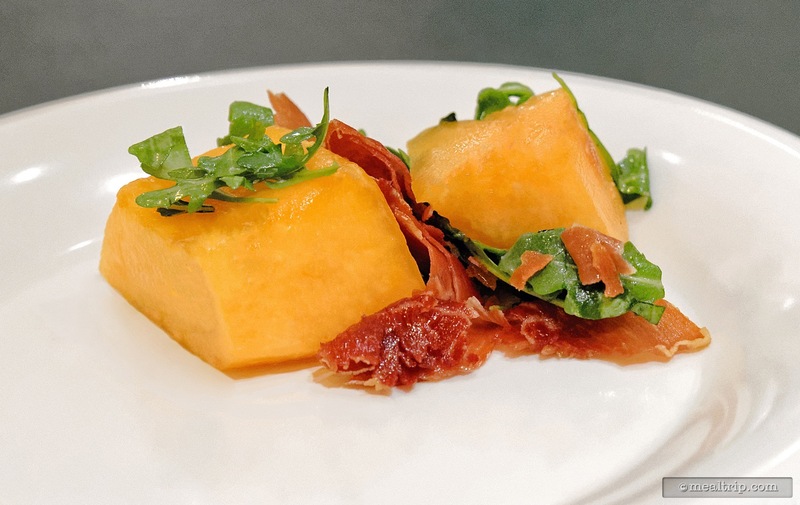 Going early in the dining period will ensure you have enough time to eat and eat and eat, but going at the very end of the dining period also has it's own special moments. The characters seem quite a bit more playful and willing to spend more time with the dwindling number of guests. We haven't even talked about dessert yet! Honestly... the dessert station at Hollywood & Vine is one of the best at the four parks if you like chocolate dipped stuff. From strawberries to pretzel sticks and various kinds of dried fruit and marshmallows, there's bound to be some freshly dipped chocolate something that you will enjoy. There is also a soft serve ice cream machine (because every buffet seems to have one), and during Jedi Mickey's dinner, one of the flavors is Blue Bantha ice cream, which has a slight berry flavor and a great blue color. 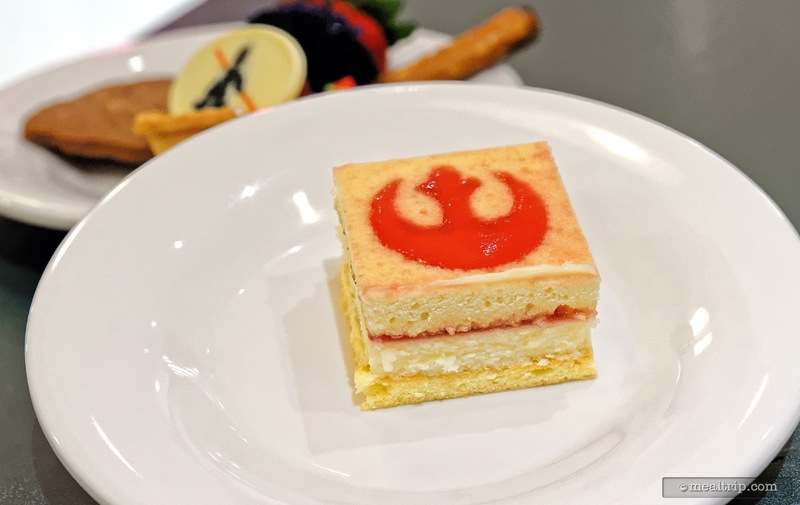 There are also a few Star Wars themed pastries such as the Rebel Red Berry cake, a Donald Maul Key Lime Tart, and Wookie Cookies (sugar cookies shaped like a wookie's head), but the real draw here is, all three of the Star Wars Cupcakes! They're the same flavors and quality that are being sold and served throughout the park, only here…they're in mini form… and are "eat as many as you want" style. 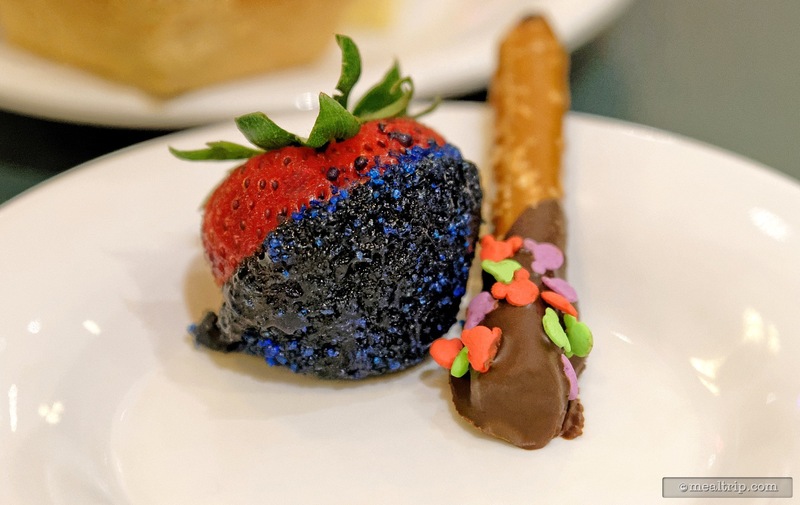 Frankly, the dessert station here is so good, it just about passes the quality and variety of desserts being served at the dedicated Star Wars dessert party that's part of the "Premium Package" taking place each Friday, Saturday, and Sunday during Star Wars weekends. It's hard to compare apples to oranges of course but I have to mention, that the "Feel the Force Premium Package" is $69 (per adult)… for desserts, ice cream and popcorn. Sure, you get a different environment (standing room only) and a reserved spot for shows and fireworks… but for $10 less… this Jedi Mickey's Star Wars Dine event at Hollywood and Vine gives you the desserts, plus a chair, air conditioning, and a ton of savory hot proteins as well… I'm just saying. 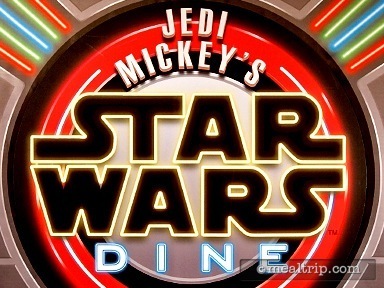 While we are on the topic of price, it's worth noting that Jedi Mickey's Star Wars Dine at Hollywood & Vine requires two table service credits, if you're purchasing the meal on the dining plan. Personally, I don't think I would use two credits on the meal, as the total of two credits at two locations, would still be more than just paying out of pocket here. That being said, eating a meal at Hollywood and Vine has never been inexpensive. It is one of the pricier buffet options at the parks, and the Star Wars overlay seems to drive that price up even just a bit more. At $58 per adult and $35 per child (tax and gratuity not included, circa 2015), you almost have to think of it as an "event" and not just a meal. Before I end the review though, I have to give a shout out to the great waitstaff at Hollywood & Vine. 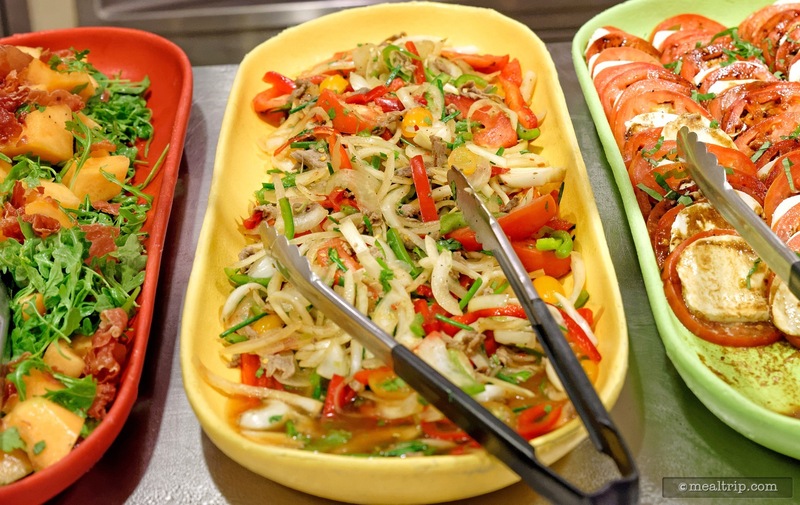 They do an amazing job of keeping the place free of spent plates, making sure you have a drink, and are well informed about all the food on the buffet line. 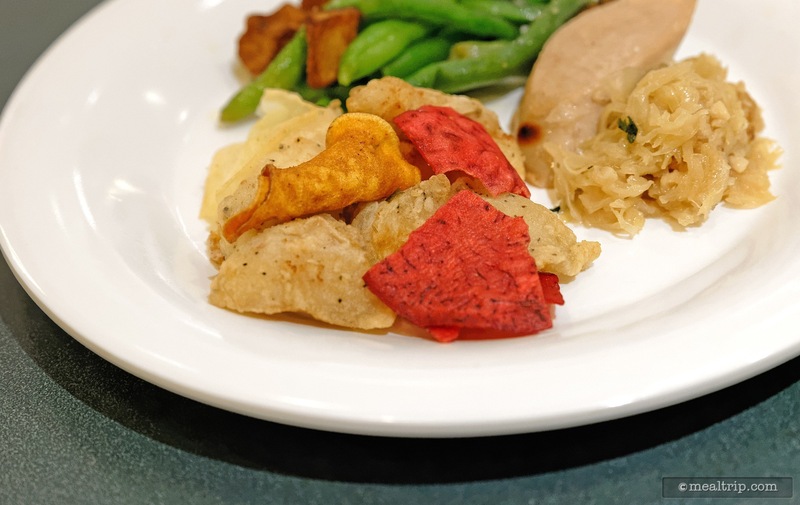 As I've mentioned in previous posts, the buffets at Disney are not "cheap places to fill up"... and that means they attract some of the better servers that have usually been with the company for quite a few years. I have usually found that at some point in the meal, a manager (or two) will ask how we're doing, and if the meal is going well. You don't find that (sadly) at every Disney restaurant, and it's well appreciated by this patron. All in all, Jedi Mickey's Star Wars Dine at Hollywood and Vine gets a solid recommendation by me. If you don't happen to be visiting during the Star Wars season though… the "normal" Hollywood and Vine dinner is equally as good, just a bit less expensive, but without the characters of course.